Classroom instruction in preparation for NCCCO written and practical examinations for Mobile, Tower, Overhead and Articulating cranes. 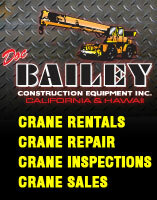 All Crane Training USA started as a division of Doc Bailey Construction Equipment Inc. (DBCE, Inc).Even before it became mandatory for crane operators to be certified, DBCE Inc. developed an operator training program that is one of the most comprehensive in the industry. Now we have branched out on our own and are looking forward to providing the same quality training to many more operators. The creation of All Crane Training USA was a natural progression when crane operator certification became mandatory or desireable in many states and countries, training and classroom instruction was needed to meet the certification requirements for crane safety and operation. Our instructors have over 20 years of instruction experience and regularly attend classes to keep and maintain their qualifications. They hold operator certifications in Tower, Mobile Hydraulic, Lattice, Overhead, and Knuckle Boom Cranes with additional certifications as Rigger and Signalman and ASE Certified Master Technician. All Crane Training USA fully endorses the National Certification Program offered by the National Commission for the Certification of Crane Operators. All Crane Training USA is dedicated to preparing candidates to successfully pass the designated tests to become certified by this national program. Our National Training Center is located in Oakland, California and is very accessible from the Oakland International Airport. 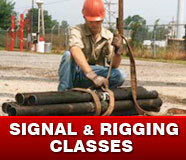 We also provide training and certification services for companies at their location. 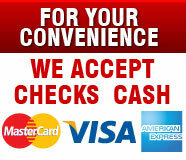 For more information regarding onsite training and certification contact us at 510-638-5407.